These days I’m more of a lap dog in the wintertime… you know, when the weather is chillier. Laps are warm so they’re very good at that time of year. One thing I like to do in the cooler weather is to help No. 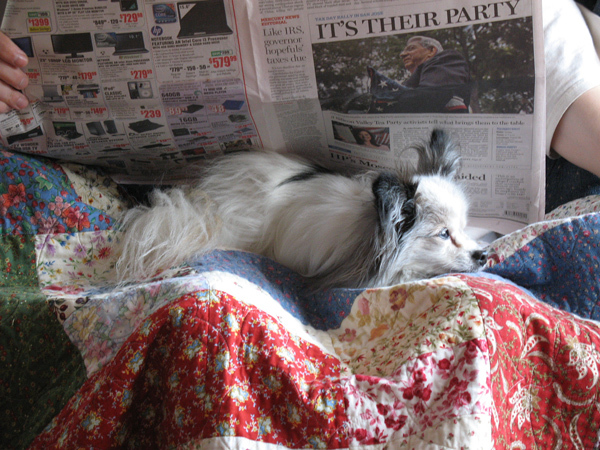 2 read the newspaper every morning. Posted: July 20th, 2011 under Naps, The way we do things. 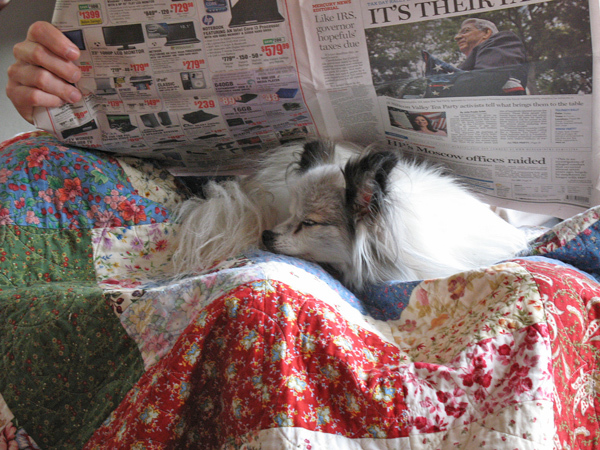 Well I didn’t know that those newspapers things are for making cosy little dens. I’ll have to show this to Molly – sleeping is her favourite thing (well apart eating! ).